Looking for a crowd-pleasing salad? 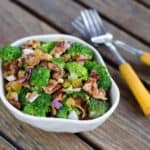 This paleo broccoli salad with bacon is different and delicious! Try this salty, savory, sweet and sour dish today. 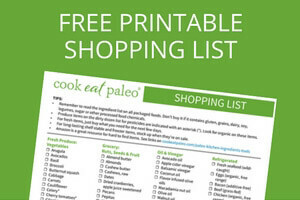 Gluten-free, dairy-free, paleo and Whole30 friendly! I haven't made broccoli salad in years, but I was reminded of it the other day when I saw it on a buffet. I knew it would be easy to create a paleo version. Broccoli salad used to be such a pot-luck staple, but it’s one many people forget about these days. 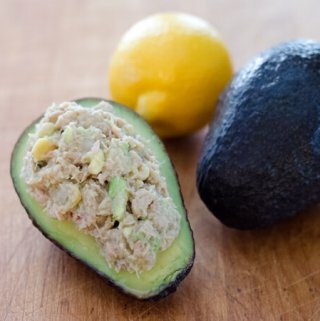 I vote we bring this salty, savory, sour, sweet dish back! I knew I had an old broccoli salad recipe somewhere, but I couldn't find it. So I recreated it from memory—and made a few changes along the way. I must admit, it turned out even better than I expected. 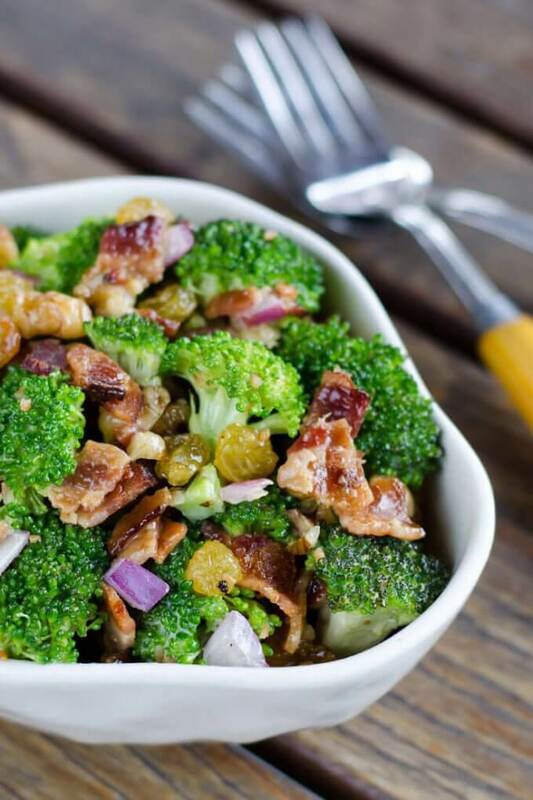 My new paleo broccoli salad with bacon recipe is a favorite around our house. It’s a great lunch and the perfect summer side dish. 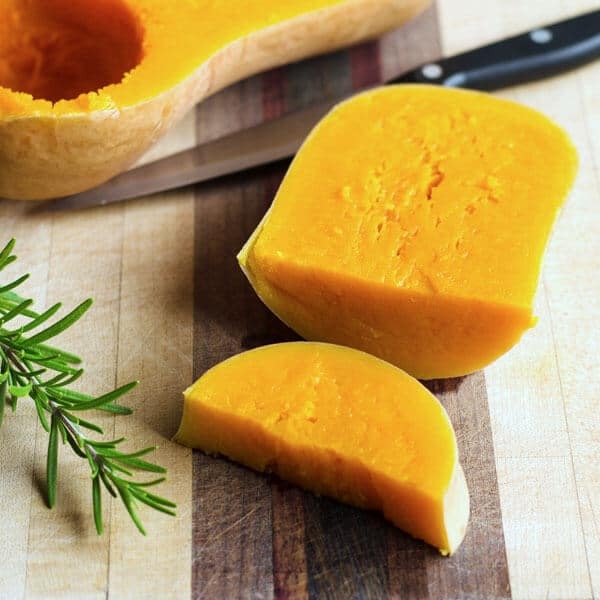 Its also dairy-free, gluten-free and Whole30 friendly (and it’s a major crowd-pleaser). This post may contain affiliate links to products I love and recommend (which means if you choose to make a purchase I may earn a small commission at no additional cost to you). Because this salad is so focused on showcasing this vegetable (which is actually the bud or flower of the broccoli plant), it’s important to be choosy about your broccoli. Look for a head with tightly closed buds—avoid any yellowing or browning. Interestingly, broccoli gives off heat once it’s harvested and it quickly diminishes in both nutrition and flavor. While you can store broccoli for up to a week in the fridge, enjoy it fresh for best results! Once you’ve selected some beautiful fresh broccoli, you’re ready to create this oh-so-satisfying paleo broccoli salad with bacon. This salad comes together in no time flat. 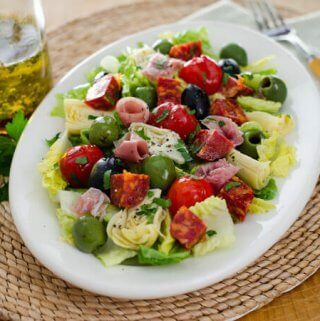 The contrast between the various components is what takes this salad to the next level. This paleo broccoli salad gets its major crunch from the crisp, fresh broccoli (of course). 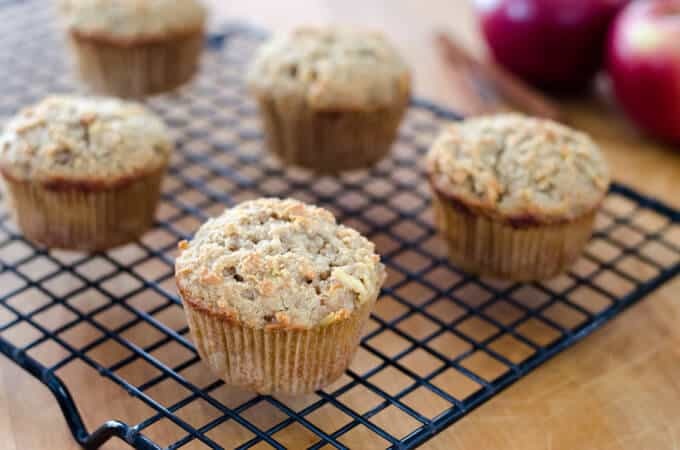 And walnuts amp up the crunch-factor and add a nutty flavor that pairs so well with the vibrant “green” flavor of the broccoli. What really makes this salad stand out, is the way it hits all the flavor profiles at once—salty, savory, sour, sweet and smoky. It’s a fantastic combination. 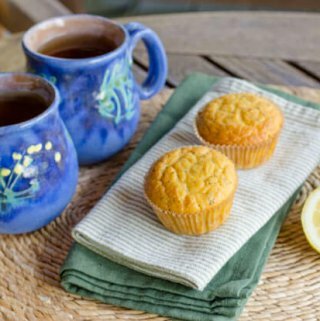 For that hint of sweet and sour, you can thank the combination of sweet golden raisins and apple cider vinegar. 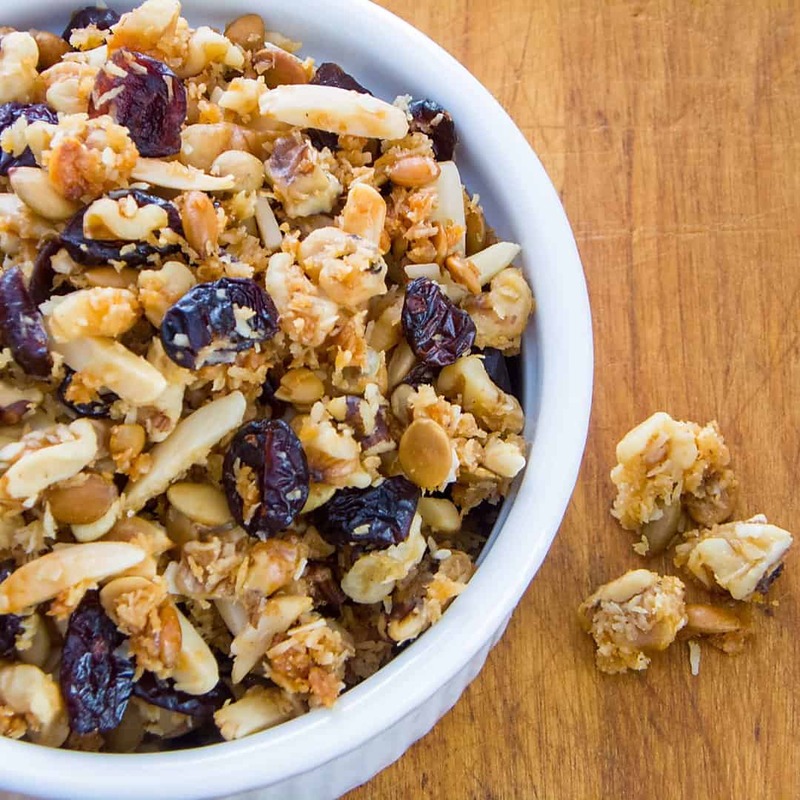 The raisins give it a subtle sweetness without any added sugar making this salad Whole30 friendly. The red onion adds a little bite to the salad. If you prefer your salad with a milder onion flavor, try soaking the onions in ice water for ten minutes. The “bite” comes from the sulfuric compounds in the onion (which also causes your eyes to tear up when cutting); giving them a quick cold bath removes the harshness. This technique works well for any type of onion. Of course, let’s be honest, the bacon in this salad is really what keeps people coming back for more. After all, can you ever go wrong with bacon? And this paleo/Whole30 broccoli salad has lots of smoky goodness! Just be sure to choose a bacon with no sugar or additives so it's Whole30 approved. I like to cook the bacon crisp and then crumble it into the salad. My favorite bacon-cooking method is in the oven and I typically cook extra strips to use in dishes needing a little flavor punch (store them in the fridge until you need them). The smoky, savory, salty flavor of bacon elevates every vegetable from side dish status to something truly special. I updated this broccoli salad recipe from the old buffet staple, by using homemade paleo mayo (to make it even easier you can get it pre-made) and skipped the sugar that's usually added to the dressing. 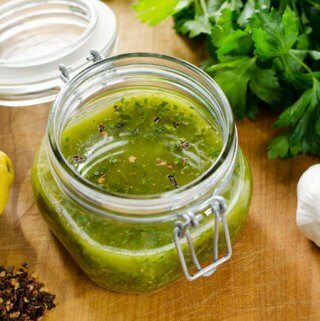 I also reduced the amount of dressing to let the flavors of the salad shine through. And of course, I had to add a little extra bacon. 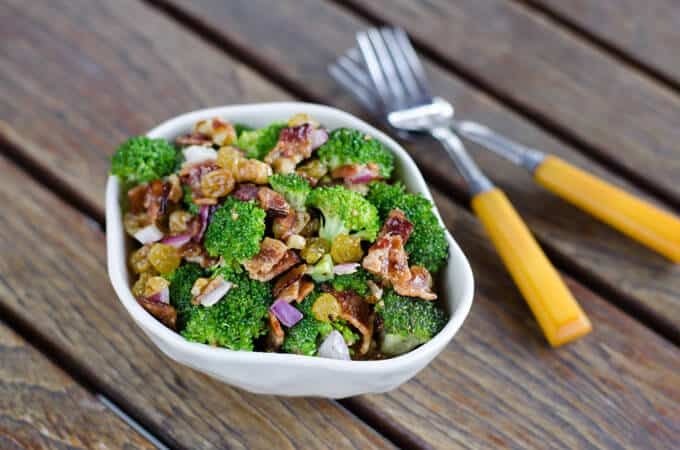 This easy broccoli salad recipe used cooked bacon, red onions, apple cider vinegar, and golden raisins for that perfect combination of salty, sweet and sour. Combine onions, vinegar and a good pinch of salt in the bottom of large bowl. Stir in mayonnaise. Add remaining ingredients and toss. Season with salt and pepper to taste. So, if you’re looking for a crowd-pleasing dish to get everyone eager to eat their veggies, this salad is the perfect choice. It’s a healthy and delicious dish to pass. This updated broccoli salad with bacon will definitely be on the menu for our Memorial Day, 4th of July, and Labor Day barbecues (and many pot-lucks in between 🙂 ). How can bacon be paleo? Even the organic, nitrate free has dextrose, dextrin and/or maltodextrin in it – both made from.corn, rice, or wheat. Try a local farm, they will often make bacon without additives. There are also online sources for paleo bacon, like U.S. Wellness Meats. The ingredients in their Whole 30 approved bacon are just pork and salt. Looks absolutely great. Would definitely try this. Used 1/3 cup onions and waluts. Very tasty! I use half cauliflower and half broccoli and put in sunflower seeds instead of walnuts and it is delish! 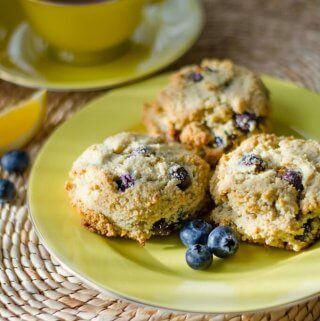 The raisin’s add just enough sweetness to make you not miss the sugar in the conventional recipe. 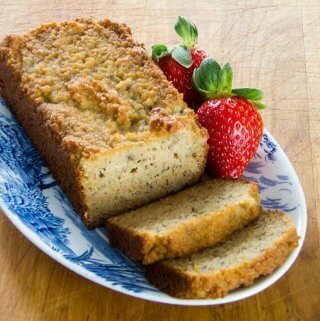 I didn’t think I could find a paleo version that I would like as much as the rich sugar filled version but I make this one every week to take to work for ‘breakfast’! Works great with Tessemae’s mayo if you don’t make your own. I haven’t been able to make mayo that is an acceptable substitute thus far! Delish!! Made it just like the recipe says ~ totally yummy. I was dreaming about returning home from my errands the next day and chowing down the leftovers. Unbeknownst to me my hubby beat me to it! I was so sad! Can’t wait to remake! Thank you! Does anyone know how many calories are in each serving? Hi Shannon, I don’t track nutrition info, but MyFitnessPal or SparkRecipes have calculators for this. Hope this helps! The combination broccoli and bacon is one of my favorite, I’ll give it a try next weekend. Yay! So glad everyone loved it Cassidy!